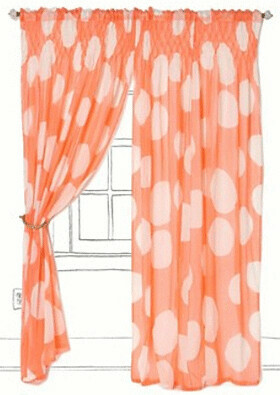 Gotta love curtains that don't take themselves too seriously. 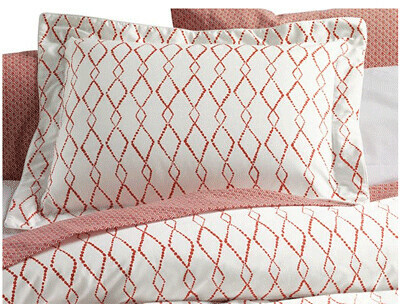 I gotta keep today's post to a minimum since there's tons to do today, but to continue with the orange/coral theme, I thought I'd share with you the items that I came across when I was shopping for my parents' guest room. I admit there were a lot more, but these were ones that really stood out to me. Any that catch your fancy? 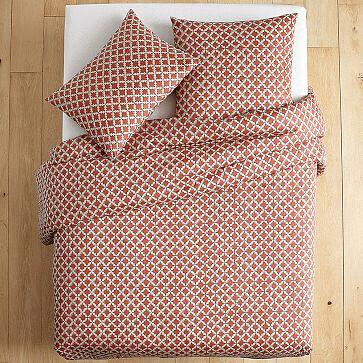 A great duvet cover to mix and match with other prints and colors. 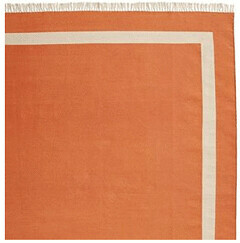 I think we can agree that this Dhurrie will freshen up any room you put it in. Simple and clean but still packs a punch. 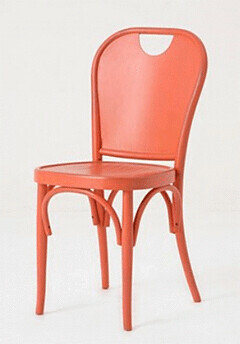 A nod to French bistro chairs, but a great modern take on it. 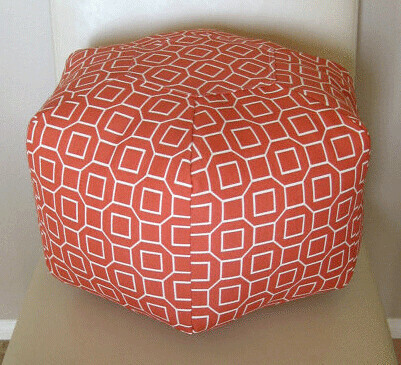 Definitely check out the other poufs available by Aleta Savage - there's a myriad of fabrics to choose from. I seriously want all of them! 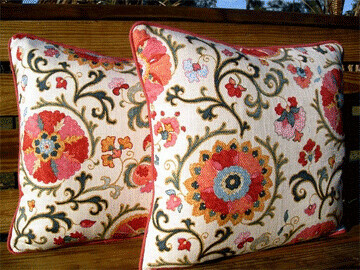 If you want something a little softer in color than the obvious orange, than this pillow is the perfect accent for your room. This set will have you dreaming of all things Moroccan and exotic. 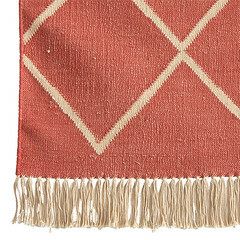 Can't beat the price on this coral Ikat print.